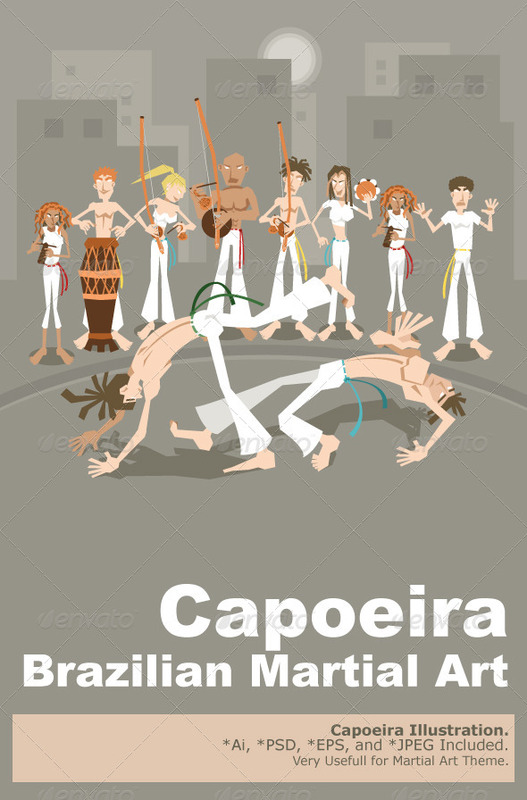 Brazilian People Playing Capoeira Martial Arts in Brazil An Illustration Of Brazilian Martial Art Capoeira . Useful As Icon, Illustration And Element For Sport And Martial Arts Theme. Main File is Vector Ai. Easy to Use and Custom. Also Available in another format. PSD (Vector Smart Object), Eps.8 and High Ress Jpeg. 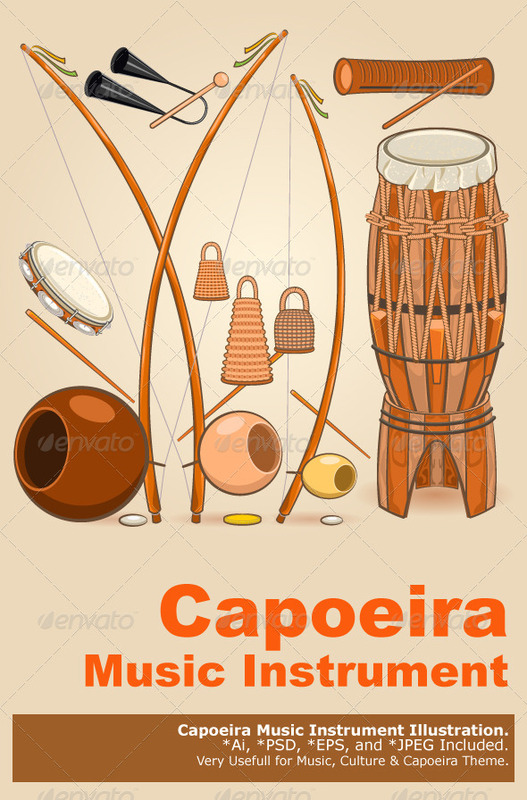 Brazilian Capoeira Music Instruments Such as Berimbau, Atabaque, Pandeiro, Reco reco. Main File is Vector Ai. Easy to Use and Custom. Also Available in another format. PSD (Vector Smart Object), Eps.8 and High Ress Jpeg.